With a cutting-edge and minimalistic design that manages to remain sleek and stylish all at once, this pod clutch is perfect to hire to an upcoming day out at the races, or to an opulent cocktail party! Finish off your little black dress when you rent this pod clutch, or top off a glittering embellished gown with a simplistic edge, or even a floral maxi dress! 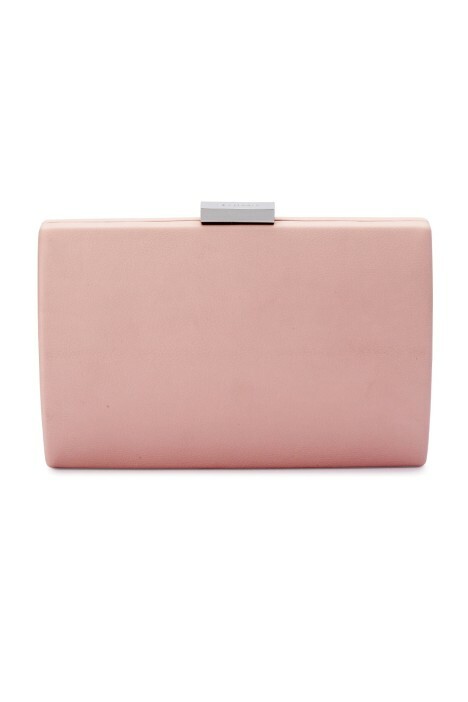 Rent this minimalistic clutch with some glittering accessories to bring a dash of shine to your look! Go for a statement silver ring, and check out our 6 Hairstyles for Cocktail Parties blog post while you’re at it for some great style tips!